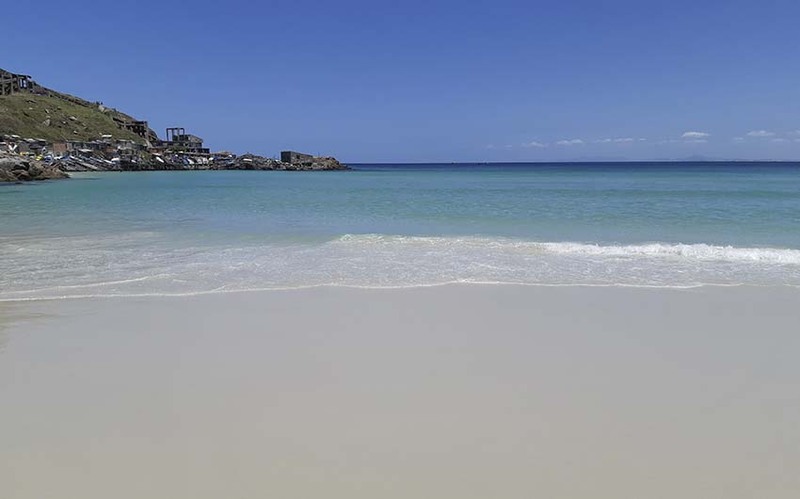 Cabo Frio and Arraial do Cabo have some of the most beautiful beaches and dunes in the state of Rio de Janeiro. Cabo Frio has some of the most beautiful beaches and dunes in the state of Rio de Janeiro. 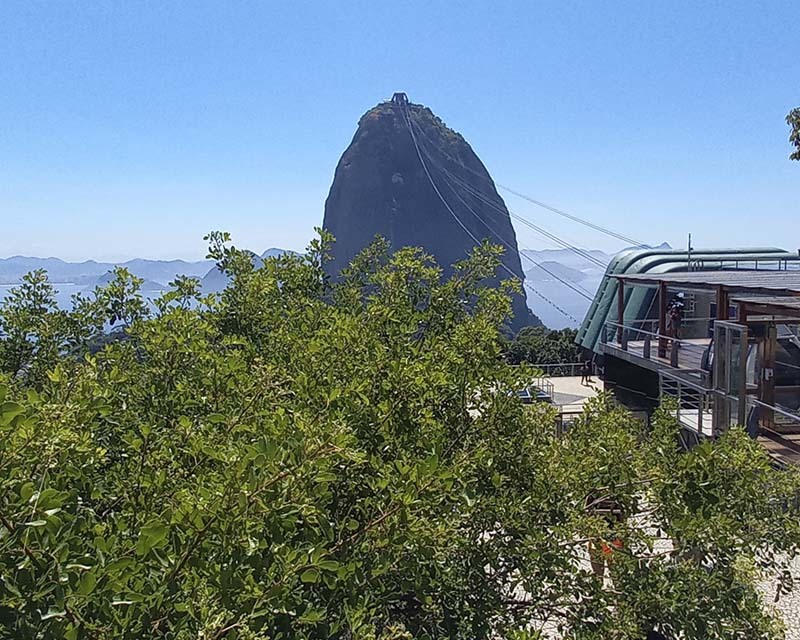 With great tourist potential, about 2 hours from the capital of Rio de Janeiro, Cabo Frio has hotels, inns, restaurants and cozy bars. Famous for its ocean beaches and its very white sand dunes, Cabo Frio has atractions for the day and night. 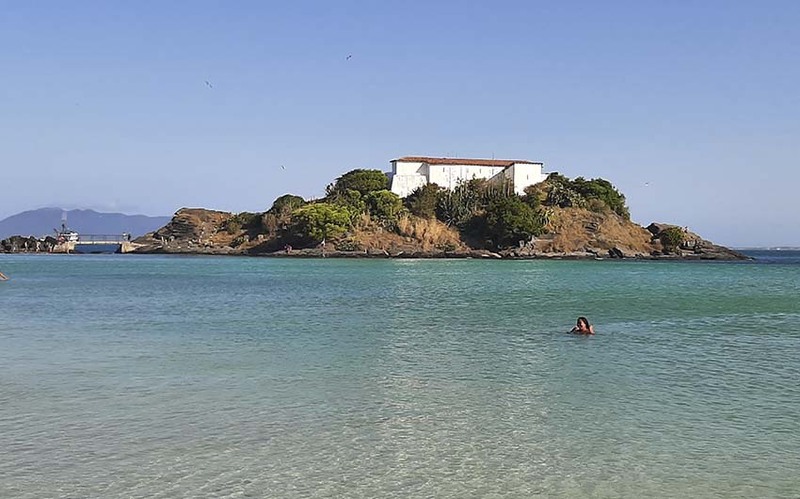 The postcard of the city is the fort of SÃ£o Matheus, built in 1620 by the Portuguese and is located on the most famous beach of the municipality, Praia do Forte. 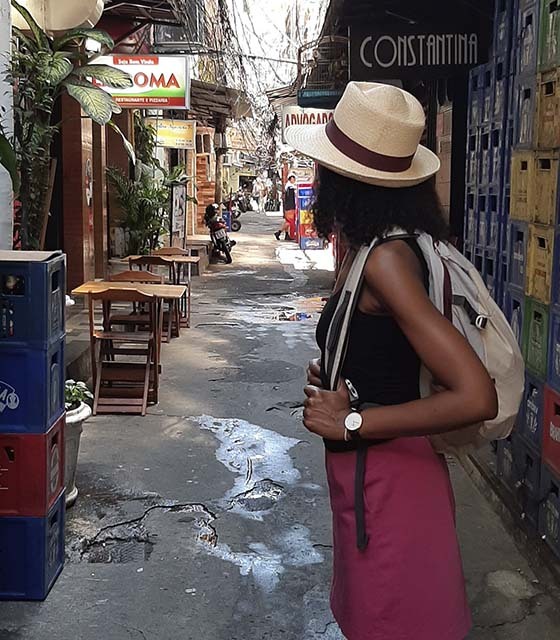 Shopping Gamboa, also known as Rua dos Biqunis, makes Cabo Frio one of the most important beaches in the country. Praia Brava is an exciting place. A place almost deserted, isolated, totally without infrastructure, where only surfers and nudists frequent it. Perfect, is not it? 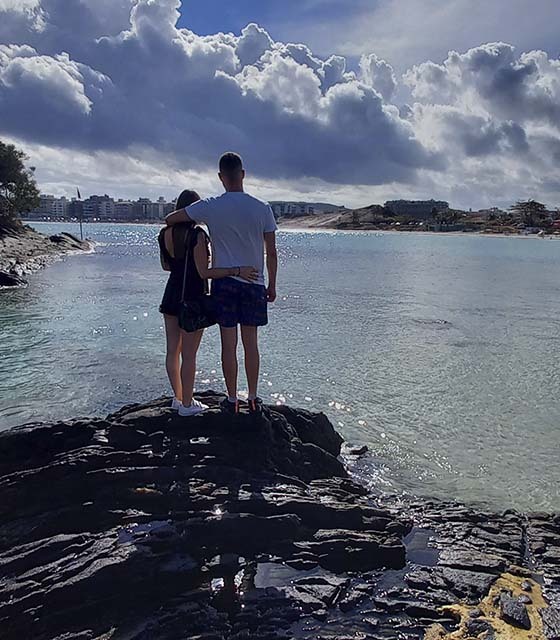 On the one hand, the surfers make the party with beautiful waves, and on the other hand, the "peladÃµes" take advantage of this beautiful nudist beach of Cabo Frio in all intimacy and tranquility. Praia Brava is close to the island of Japanese and its access is almost the same. From Praia do PerÃ³, follow the signs for the island until you reach the parking lot (10 reais). You can enjoy a mornings on the island, have lunch in a restaurant and enjoy the afternoon on the nudist beach (for those who like) or in the area with clothes (where are the surfers). The hike is very easy, with some vegetation around. You can even go with havaianas, but since there is no shade, the ideal is to wear a hat to protect yourself from the sun. And do not forget the water to hydrate you, of course. Arriving there, the view from the top is simply breathtaking. This color of the sea, I only saw it at Fernando de Noronha. 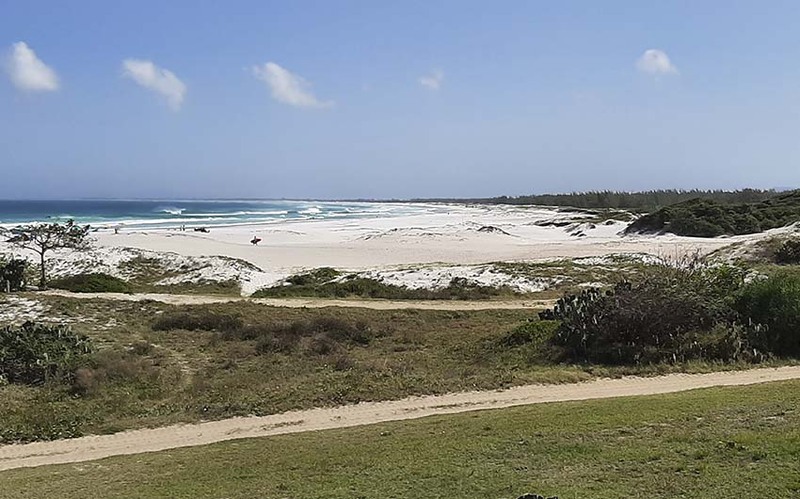 In addition to the beach has an island in front, it is very similar to the one that is in the beach of Lion, it is there that is the surf group. To get to the nudist beach, you have to go down and pass this point. He has a stone in the middle setting the limits for both groups. From this point, take off your clothes and enjoy the beach. As I said before, Praia Brava has no infrastructure. So, bring everything you will need during your stay. A snack and bottles of water are recommended. It's definitely worth walking to the right corner of the beach, where a natural pool is formed at high tide. The place is beautiful and during the afternoon the rock walls form shaded areas. If the island of Japanese is already a paradise (during the days of the week), Praia Brava is still superior, with well-defined areas for surfers and nudists. Praia Brava is the only nudist beach in Cabo Frio. There is another one in BÃºzios called Olho de Boi, which is also very pretty and wild. Atlantic paradise surrounded magnificent beaches of transparent waters. 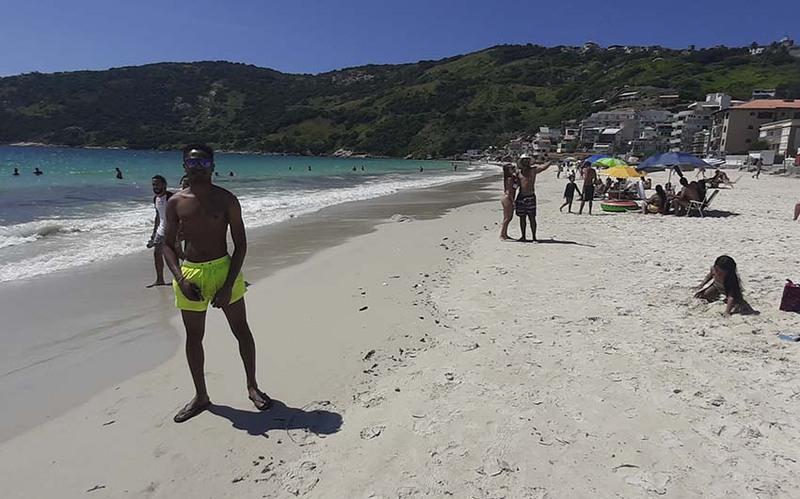 Arraial do Cabo is a Brazilian city of the state of Rio de Janeiro, located in the Great Lakes region, 140 km from Rio de Janeiro (RJ) is an Atlantic paradise surrounded beaches that delight locals and tourists visiting the place. The city has some of the most beautiful landscapes of the Brazilian coast, such as dunes, lagoons, beaches and promontories. Its climate is hot and humid, with an average temperature of 25 degrees in summer and between 17 and 23 in winter. Those who are grateful are the divers, who find the best places in the country to practice this sport. In addition to the clear waters, Arraial do Cabo is home to marine life - turtles, carrots, squid, lobsters, rays, and even dolphins that live in harmony in the Farol and Porcos Islands, in the sos do Cherne and Cordeiro, Praia do Forno, Ponta dâ€™Ã�gua and Gruta Azul. Besides the natural beauty, the city is also attractive for restaurants and inns, the rates are much more affordable than those practiced in the surroundings. In Arraial, there are no luxury establishments, but they are very comfortable and the seafood dishes are the freshest in the region. The boating offers you landscapes not to be missed enchanting especially at the praia do Farol, which is one of the most beautiful in Brazil. Not to mention that, watching the sunset at Pontal do Atalaia, and one of the mandatory programs. It is free! With less than 30,000 inhabitants, Arraial do Cabo offers visitors a favorable atmosphere for the holidays. Emancipated in 1985 and officially young, the city was once part of Cabo Frio. 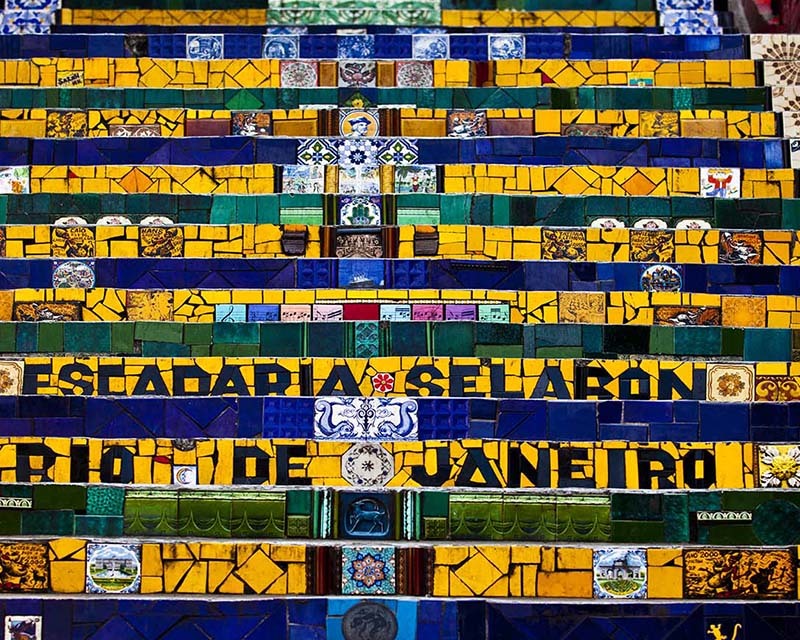 The history of the region, however, dates from the beginning of the sixteenth century, when the explorer AmÃ©rico VespÃºcio landed at sea with the second European expedition to cross the Brazilian coast. There is little left of this period. A small obelisk marks the place of arrival of the conquistadors, where lived mainly before the Tamoios Indians. In the historical center, the Church of Our Lady of "Nossa Senhora dos Remedio" carries the year 1503 on the front, the date of arrival of AmÃ©rico VespÃºcio. The site, originally a pure wooden church, marks the point where it was said the first covered mass of Brazil, from the year 1506. In the same way The area is home to "Casa de Piedra", considered one of the first buildings in the country. The fame of the "Brazilian Caribbean" is the exuberant beach of Arraial do Cabo. With easy access, low prices, a sunny beach, Arraial is one of the best destinations in Brazil for those who want to enjoy a Caribbean beach. A colorful sea offers a unique spectacle. The sea is particular for a very specific reason. In the region, the phenomenon reoccurs, it brings to the surface a marine life rich in deep water. The plenty of food turns Arraial into one of the best diving spots in the country with clear waters. It's a perfect place for scuba diving, or even for those who want to have fun with the snorkeling. The road that leads to Arraial do Cabo from Cabo Frio is a sheer beauty. Looking at the beach "Prainha", the color of the sea, blue green is very impressive ,. With only 160 square kilometers, Arraial do Cabo is ideal for those who do not want a big hike. The beaches are very close to each other, you can almost all walk. 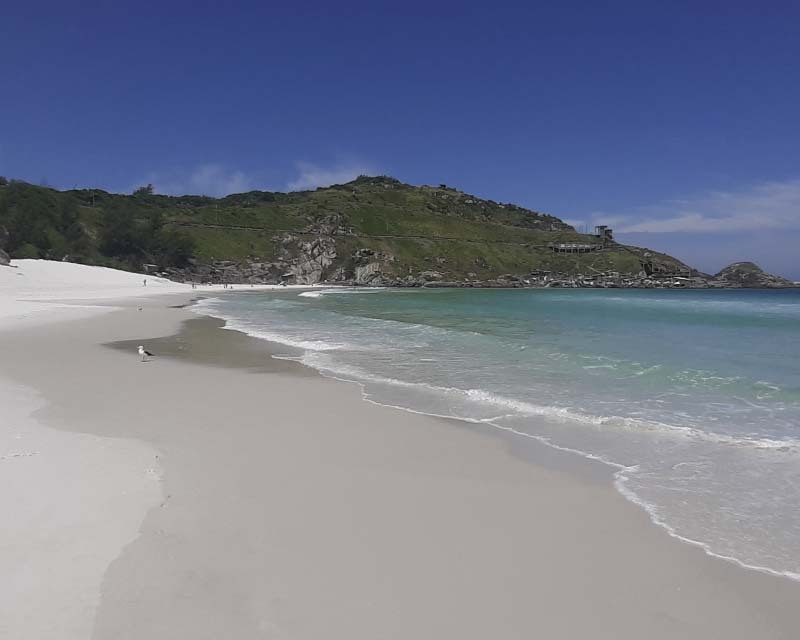 Arraial do Cabo offers eight main beaches for visitors there are great beaches, and other tiny ones, which generally disappear at high tide as the beach that can be visited from the trill of ". GraÃ§ainha ", in the right corner of" Prainha ". There are beaches for all tastes. Beach with waves, beach that makes swimming pool perfect for swimming, crowded beach, beach haunt, beach with belvedere. The star of the city is "Praia do Farol". The site lives under the legend of being one of the most beautiful beaches of the country. It's hard not to be blown away by the tone of the water, very similar to the Caribbean, and with the almost intact landscape of the island. Access is limited on site at 45 minutes. It is the only beach in Arraial that is only accessible by boat. Nearby "Praia do Farol" are two small beaches known as "As Prainhas". Both are accessible at low tide. The road drive of "Pontal do Atalaia", leads a long staircase that leads to "As Prainhas". "As Prainhas" can be at the same time, crowded and deserted. There is room for those who love umbrellas and chairs or for those who prefer to sit on the sand to enjoy the scenery without any interference. In addition to the car path, you can also join the "As Prainhas" on foot or by boat, from the beach "Praia dos Anjos". In addition, among the most beautiful postcards of Arraial, "Praia do Forno" is accessible by hike or boat. The beach has kiosks, but who wants a quieter environment, you can go to the end of the beach where peace and tranquility are constants. For those who like the infrastructure with beaches, the best options are the "Praia Grande" and "Prainha" (not to be confused with "As Prainhas"). Both have several kiosks and restaurants, an ideal place for those who do not look for totally deserted beaches. Anyway, for those who like the more natural look, both as "Prainha, Praia Grande" are the most isolated areas of the movement. "Prainha" the water is calm and the color resembles that of the Caribbean. It is the gateway to Arraial and one of the most beautiful beaches in the region. "Praia Grande", being at sea is the favorite of surfers. The sea offers a lot of waves, but the water is very cold and less pleasant to swim, but the sunset is wonderful! Both beaches are easily accessible by car or on foot. A little further from the center, "Praia do Pontal" is the end of the stretch of sand that begins at "Praia do Forte" in Cabo Frio. The beach is always calm, and a little cooler than in the other beaches of Arraial, but much colder than "Praia Grande". "Praia do Pontal" has a large area under the trees and can be used for picnics and barbecues. A good choice for those who want to escape the hustle and bustle. For those who want total isolation, the best option is "Praia Brava". To get there, it's a little awkward because you have to face a steep path. The beach has a small strip of sand and the sea is very agitated. The advantage is that it is always empty. Opposite to the calm of "Praia Brava", "Praia dos Anjos" is still busy. Cradle of the city of Arraial do Cabo, this is where the boats leave for excursions to the "Praia do Farol", and there are the fishermen who feed the area. Tourists who spend a few days in Arraial can also visit the nearby beaches of the city, such as Cabo Frio. They are much more urban and with many more people. Another good option is to go to BÃºzios, where there are more than 20 beaches. Arraial do Cabo is known for having hot and sunny days, yet another show is taking place at dusk. And to see a beautiful sunset, nothing like climbing the "Pontal do Atalaia". At the top of the hill, the view of the sea is privileged. It's a unique moment when visiting Arrial do Cabo. 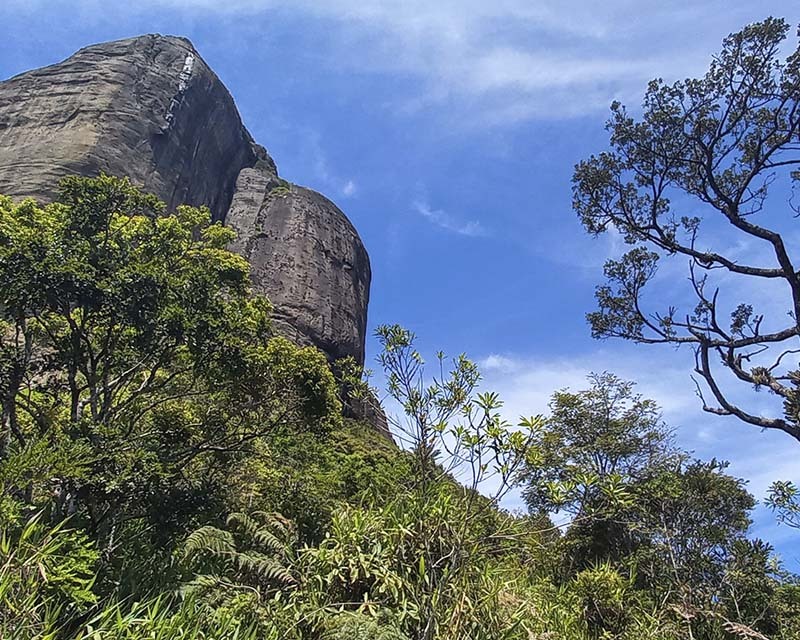 Discover the state park "Costa do sol"
Discover the "Parque Estadual da Costa do Sol", the region has preserved the nature and in many ways. This place is a real paradise with beautiful sand. Make sure you make the boat ride from the "Praia do Farol" and enjoy one of the most beautiful places with a sunset from "Pontal do Atalaia". Believe me, after several days of sunshine in Arraial, it will be hard to want to leave. Arraial do Cabo "Brazilian Caraibe", when you look at the pictures you will undertand better what I am saying. 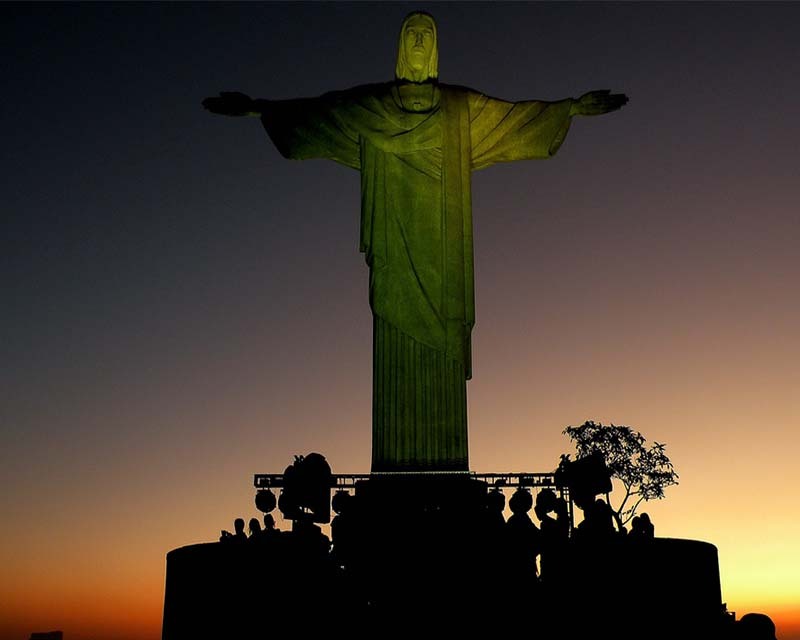 If there are many beaches that you must definitevely know in Rio, many one of them are there. There are several destinations in Brazil that sell thenselves as "the Caribbean", such as Maragogi, MaracajaÃº, Boipeba and many others. But the real Brazilian Caribbean is undoubtedly Arraial do Cabo. With rain or sun, the pictures speak for themselves. They do not need treatment or filters. In addition, it's very close to Rio! Arraial do Cabo is a little over 2 hours drive from Rio de Janeiro, and the road is great (except during the Rio Carnival). Praia do Pontal â€“ It is located just after the entrance porch in Arraial do Cabo, before the slope. The beach of Pontal is very calm and without infrastructure. There are camping areas nearby with shady trees and it is very quiet. It is a beach very little frequented. 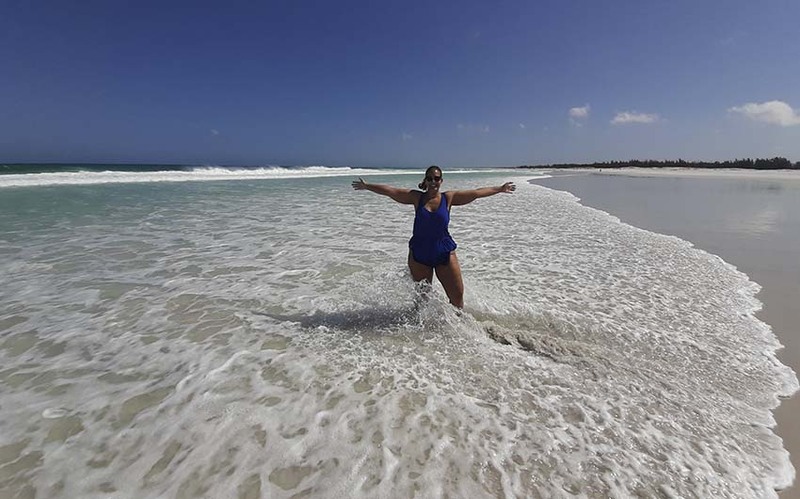 Prainha â€“ This is the first sight of tourists arriving in Arraial do Cabo. Arriving by car, on the left side, you can see Prainha with its turquoise waters. There is a small and very simple border, with kiosks serving drinks and meals, and many tables and tents on the sand. Even during the week, the beach is usually full, because of the good infrastructure it offers. The neighborhood has good restaurants, as well as posadas and houses for rent. Praia dos Anjos â€“ Going through the center, you reach Praia dos Anjos. The beach is very beautiful and has a much larger sandbar than Prainha. There are also good restaurants, as well as posadas and houses for rent. It is from Praia dos Anjos that boat trips take place in Arraial do Cabo. 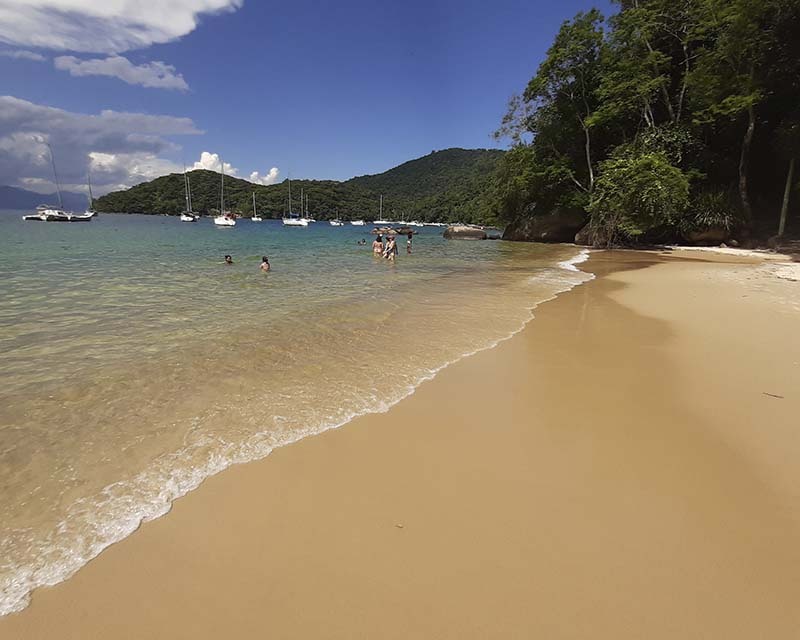 Praia do Forno â€“ Praia do Forno tourists must walk almost in the water due to lack of space. If you want to be seated, you will have to arrive early, otherwise you will not even find room to put your Beach yoke. Apart from that, the beach is beautiful. The view of the mirador during the hike giving access to the beach is breathtaking. Arriving there, you can enjoy the corners of the beaches to dive with turtles. 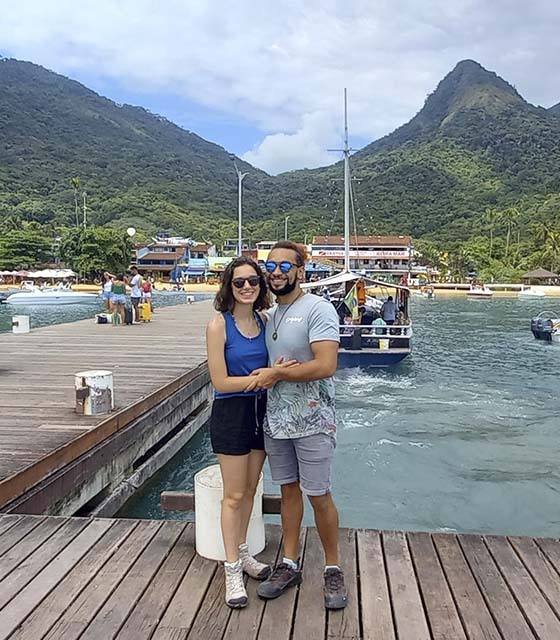 To go to Praia do Forno, you can take the fast track down the hill or rent a boatman (R $ 10) to take you there (the return must be scheduled and pay more R$10). Praia Grande â€“ As the name suggests, it is big. The distance from the water to the promenade is huge and do not try to do this "cross" with no slippers. The water is very cold! This is the most striking feature of Praia Grande. The seafront has grown a lot and now offers beautiful kiosks, as well as good posadas, shops and restaurants. Access to Pontal do Atalaia is from the left corner, in the same direction as the aqueduct. The sunset from there is unforgettable. Praia do Farol â€“ The only way to get on this beach is by boat. Praia do Farol is a reserve and its control is done by the navy. Only registered boats can land their crew (in this case, tourists). The privileged location, the white sand, the centennial tree, the coral reefs and the hundreds of shoals justify the awards won for several years as "the most beautiful beach in the world", always in the top 10. The stay time on the island is also controlled, so enjoy your time. Prainha do Atalaia â€“ This beach can be accessed in two ways: by boat (and after that, a walk) or by car. Access by car is quite complicated because of the poor condition of the road, full of holes and mud. Plus, it's pretty difficult for parking. When skipping this most boring stage, you always have to face a staircase to get to the beach, but believe me, worth every step and sweat. The water is always very crystalline, like Praia do Farol. In the left corner, it is possible to practice free diving and discover a hidden cove inside the cave of the Love. The posada in the center of the city is very interesting because it is close to things, and you can do almost anything on foot. If you prefer to stay closer to the beaches in Arraial do Cabo (or right in front of them), the options are: Prainha, Praia Grande or Praia dos Anjos. But in the center, the options are cheaper.